One of the most dangerous fields to work in is the construction industry. Each year, more deaths occur in the US in this industry than in any other industry, and electrocution is one of the four main causes of those deaths. As a result, many construction workers decide to file a lawsuit for the electrical injuries they suffered. With the help of your personal injury lawyer from Annapolis you can file an electrical injury claim and get compensated for the injuries you’ve suffered. Your Annapolis injury lawyer knows that workers’ compensation laws may limit the recoveries of employees, including for electrical injuries. In this article, you will find about safety standards overview applicable to work in electrical environments and about electrical injury claims suffered by construction workers. The OSHA (Occupational Safety and Health Administration) electrical safety regulations are considered, most of the time, an authoritative source on what is a safe work environment near high voltage sources. But there other safety regulations except the ones found in the published guide on electrical safety, including the safety regulations adopted by the Maryland state and private organizations. The violation of any of these published standards and regulations can be used by your Annapolis injury attorney to start an electrocution injury case. 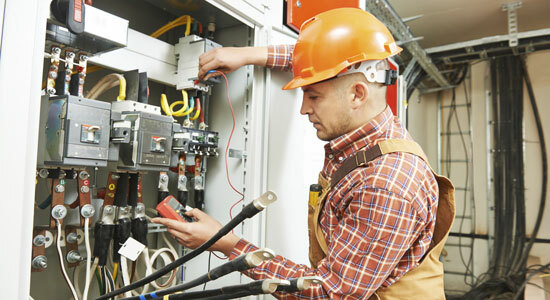 OSHA provides regulations with specific safety procedures and requirements based on the type of current and amount of voltage involved, as well as the distance from it and from the ground. These regulations state that employers are obligated to provide their employees with safe electrical tools and equipment to complete their work. These regulations also describe the procedures for working near overhead wires. If you’ve suffered an electrocution injury (i.e. brain injury) you should contact your personal injury attorney from Annapolis and see if you can file a lawsuit. Most construction injuries suffered by workers which involve electrocution fall under the workers’ comp rules. But there are cases where a potential third party is liable (such as the property owner when the working conditions are unsafe or the manufacturer of a product that has malfunctioned). The duty of care the worker should have received from the defendant. Not every entity in the construction industry has such a duty, the laws are complicated and you should consult with your Annapolis injury attorney to see if your employer has breached their duty. Breach of the duty of care. The breach can be any failure the defendant failed to provide for the safety of their workers. Any OSHA regulation breach is a breach of duty. Harm resulted due to this breach. If you’ve sustained an electrocution injury (including a brain injury in Annapolis) you can file a claim and recover monetary compensation for medical expenses, pain and suffering, lost wages, and may more depending on your case. For more information about electrical injuries you should contact the best personal injury attorney from Annapolis at (443) 569-3950 or send an email to [email protected].